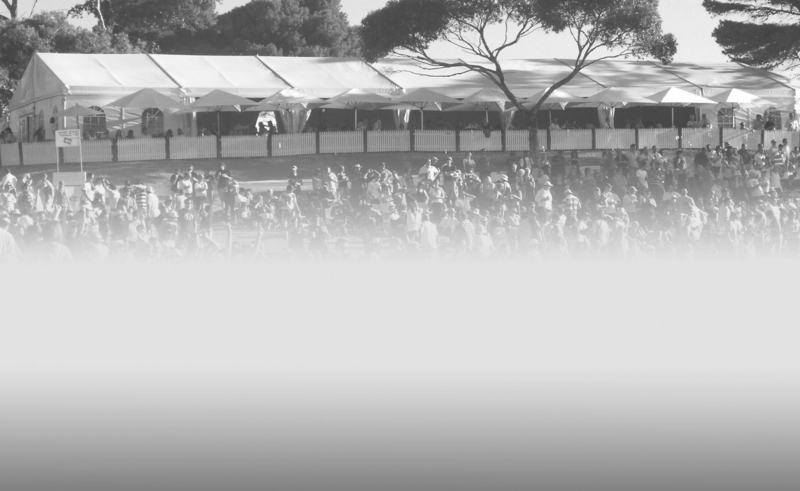 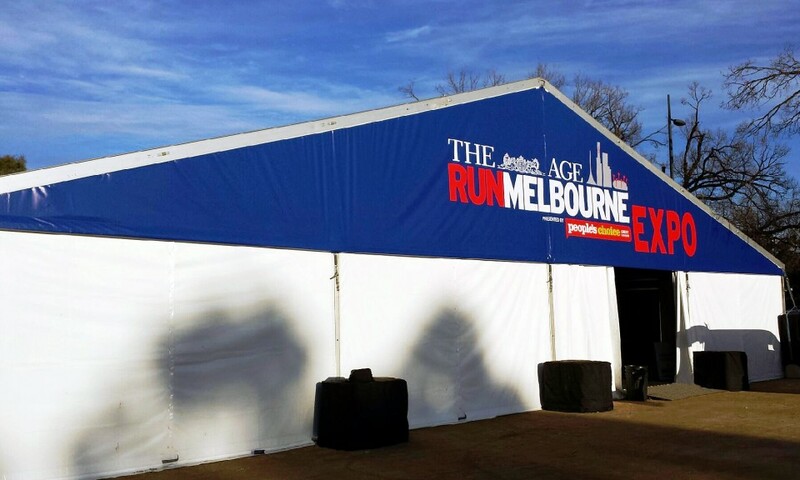 QEH specialise in offering the highest quality custom printing of Marquees, creating marquees that provide maximum impact, when and where you need it. 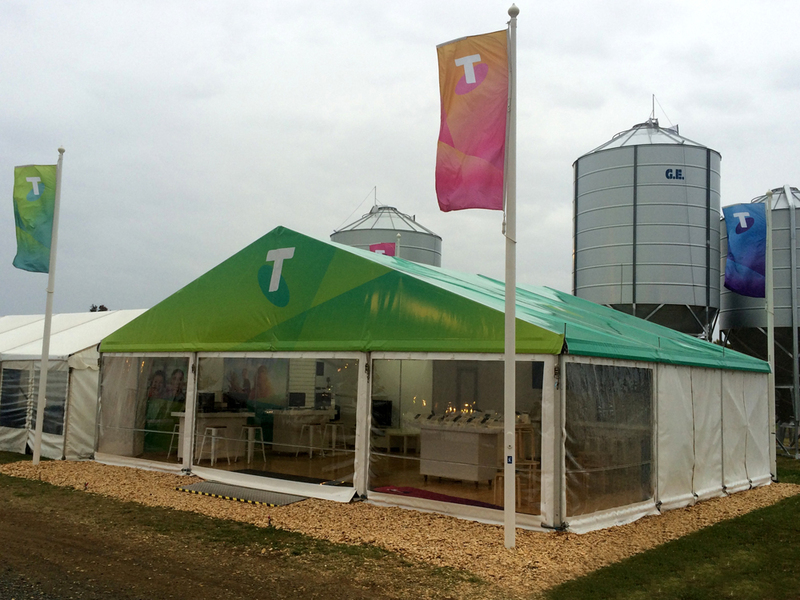 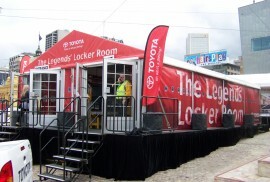 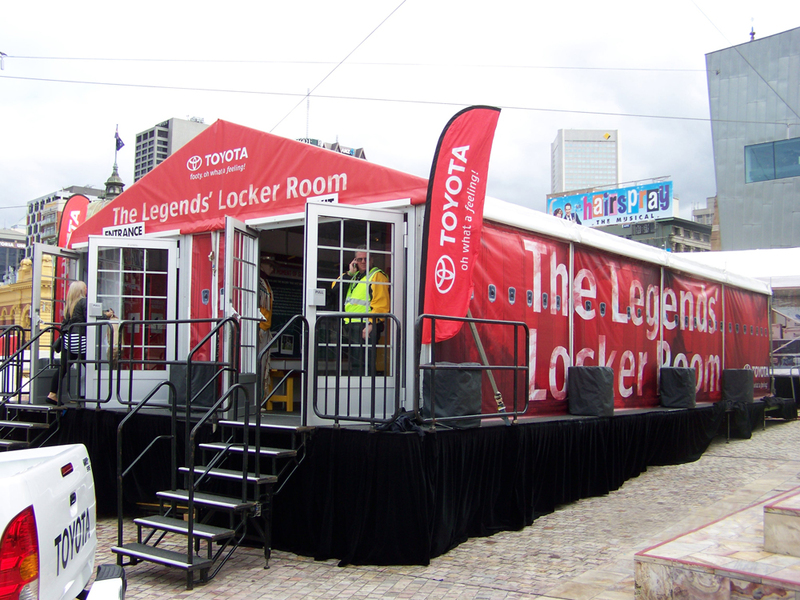 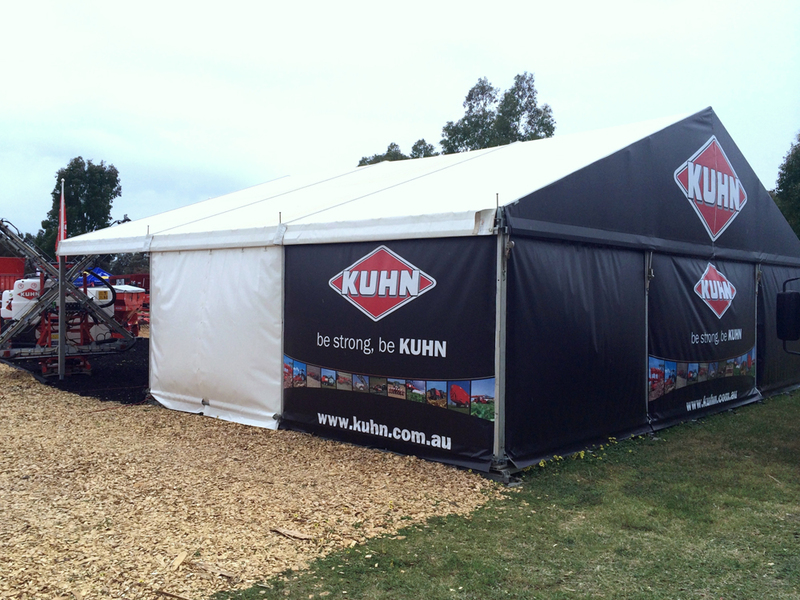 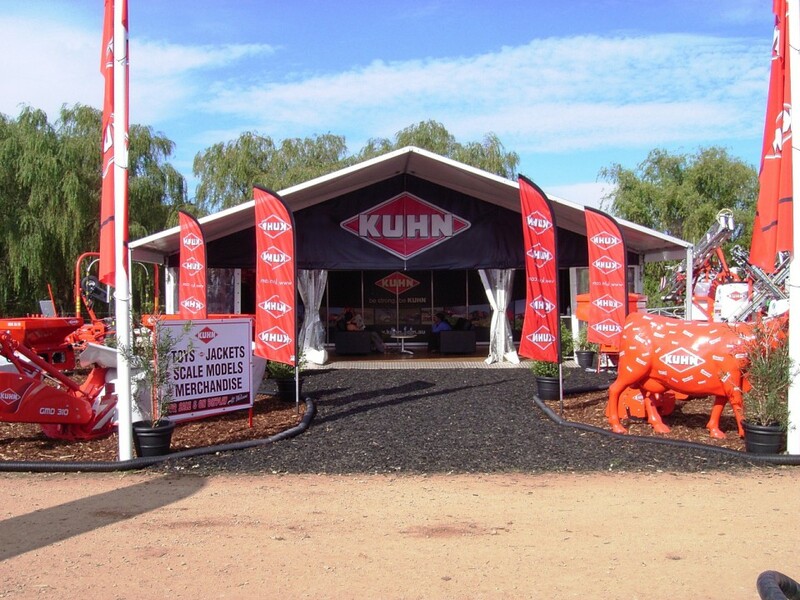 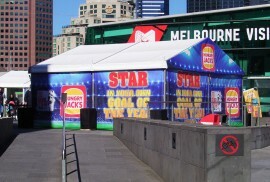 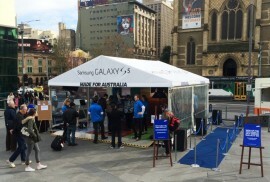 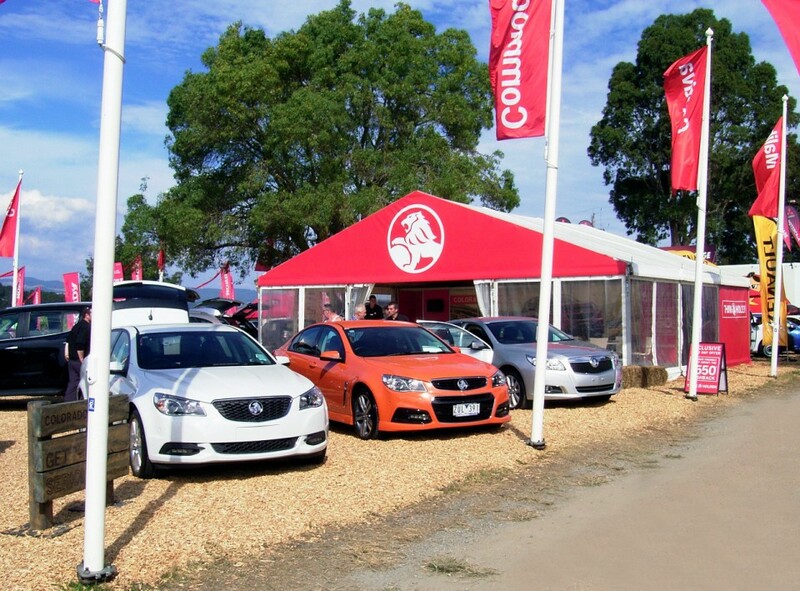 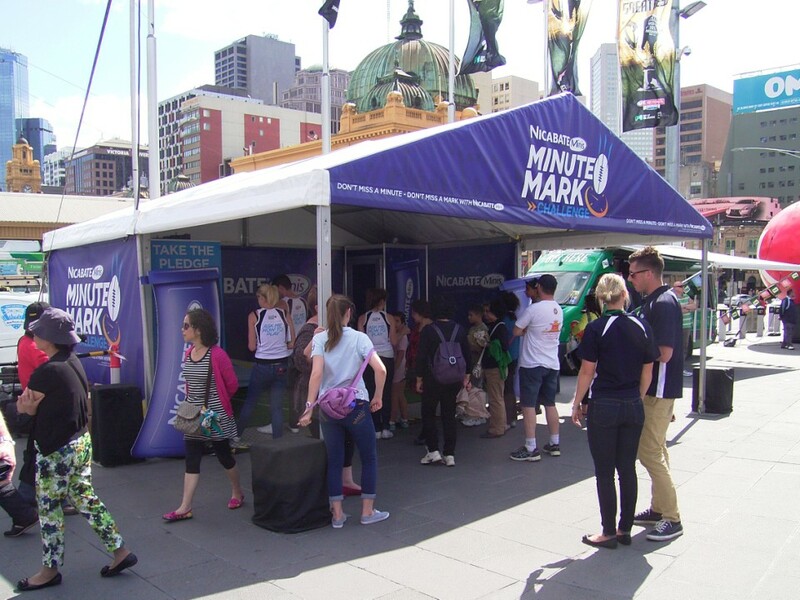 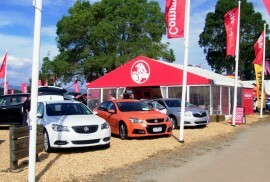 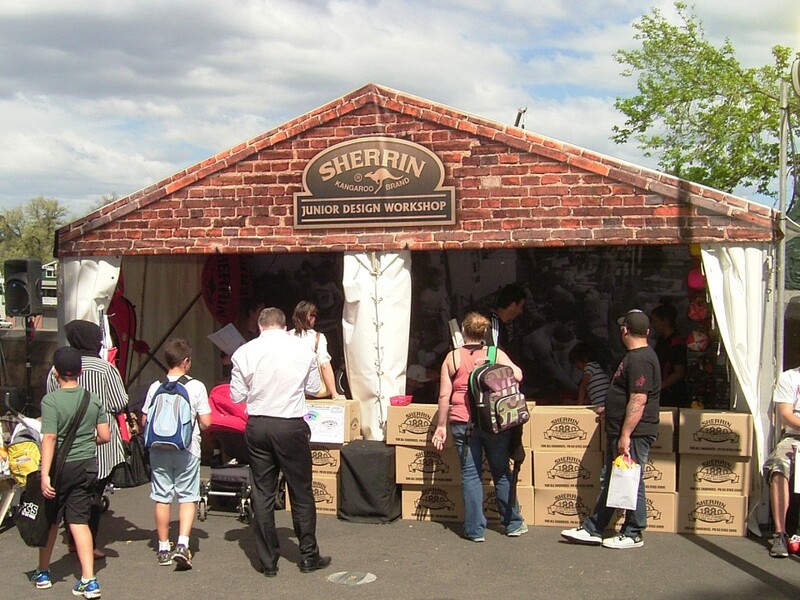 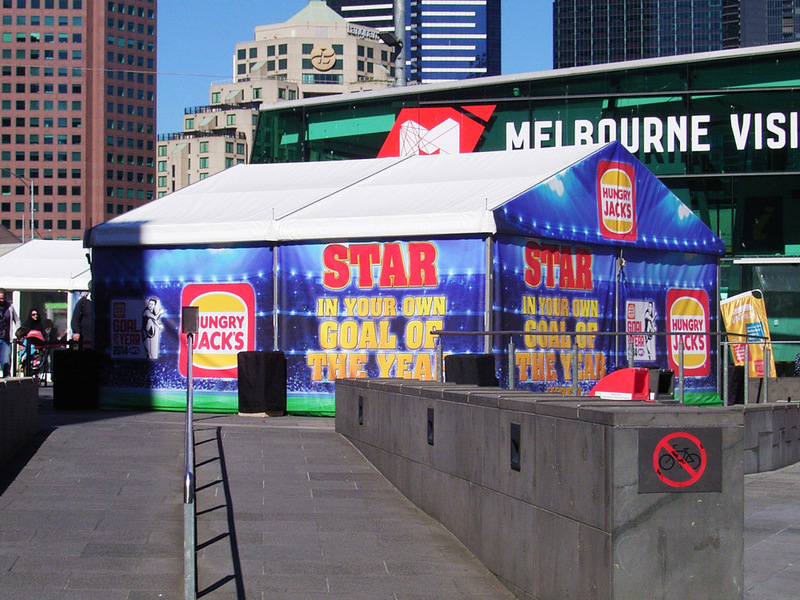 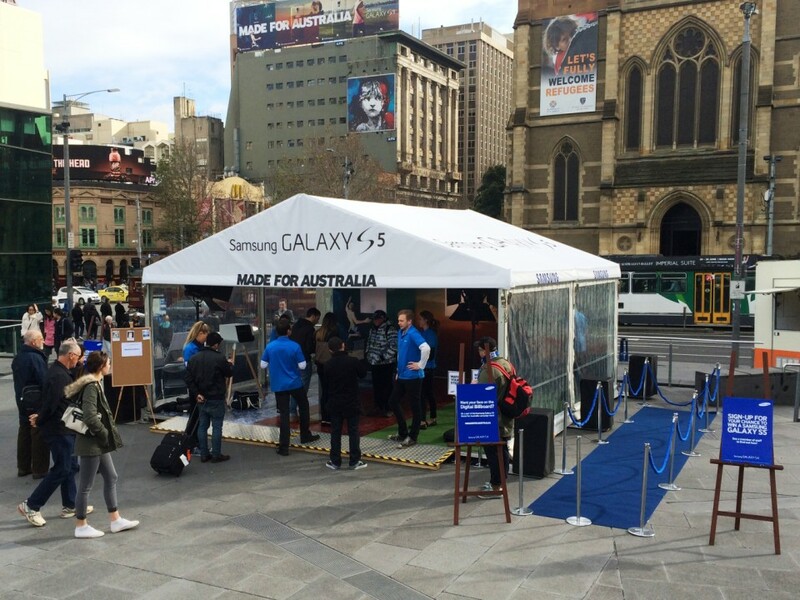 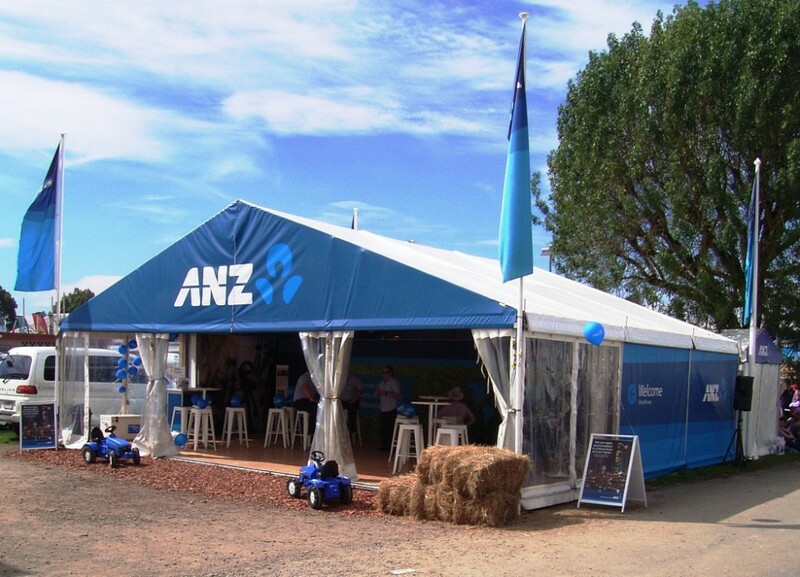 The advertising potential of custom marquee printing is enormous, from the external gable, wall and roof panels to the internal printing of the marquee panels. 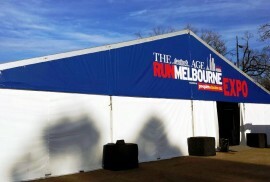 There is almost no limitation as to what can be printed onto a marquee. 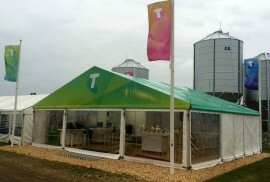 Weather you choose to print a single panel or the entire marquee, the choice is yours. Marquee panels are printed using modern digital printing technology, producing stunning graphics with colours that are clear and vibrant. 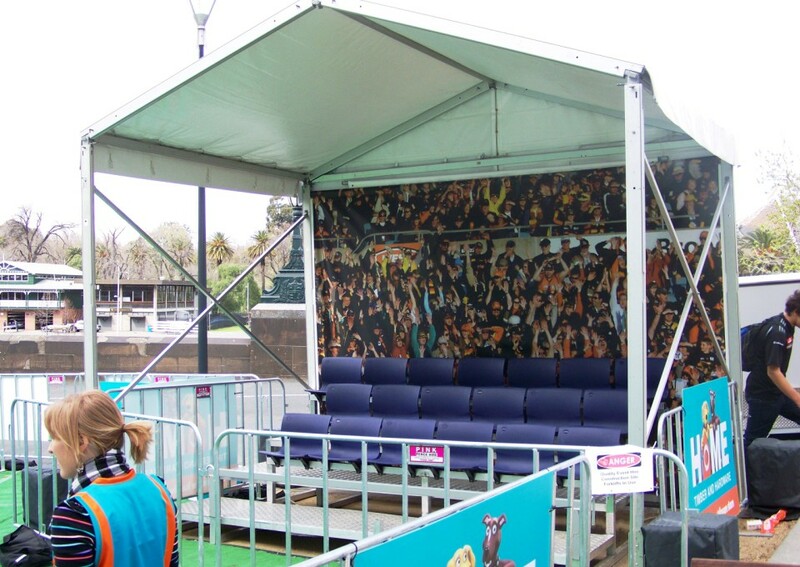 QEH will not only provide advice and have your designs printed to your specific requirements but will store, clean and maintain your panels so they can be utilised for future events. 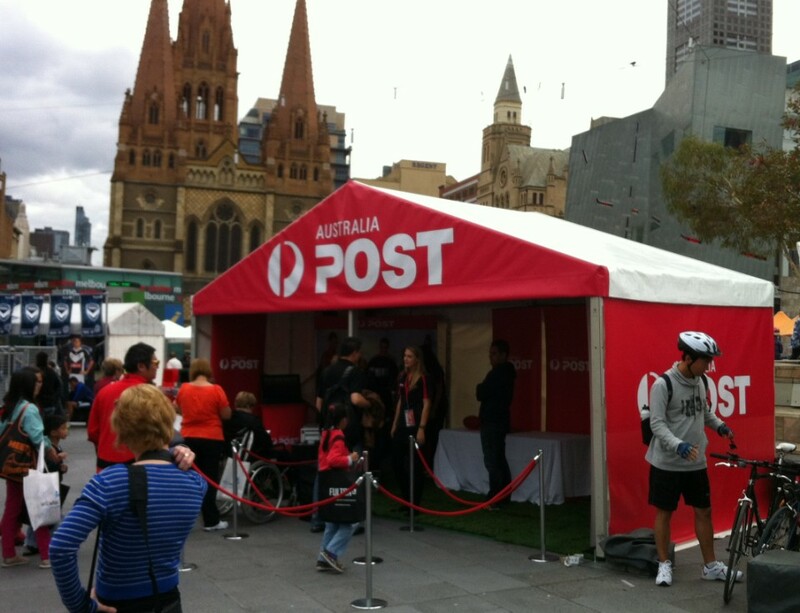 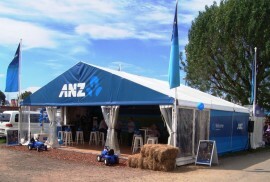 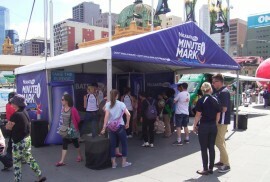 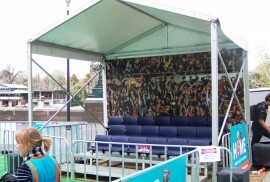 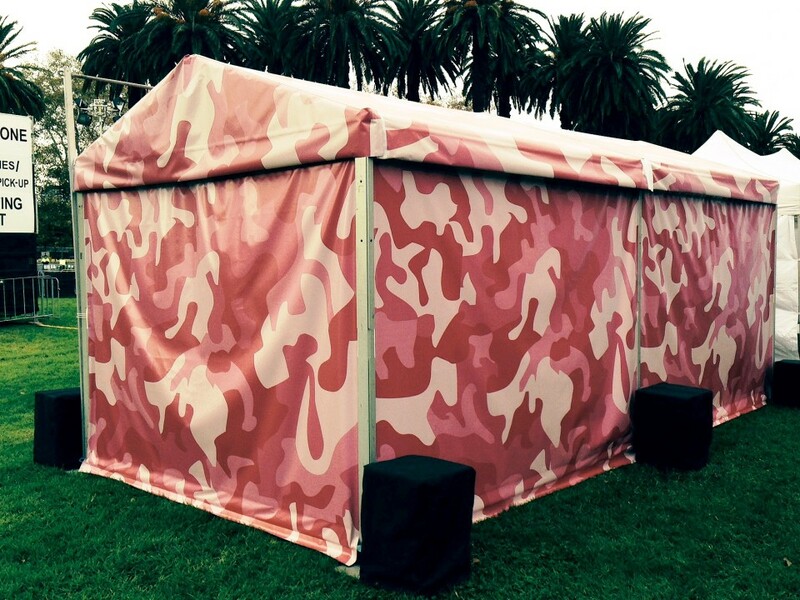 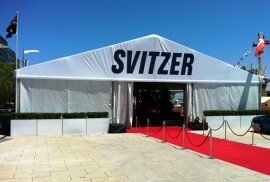 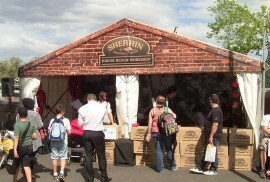 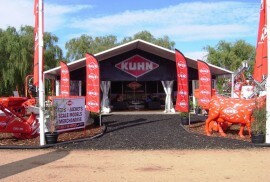 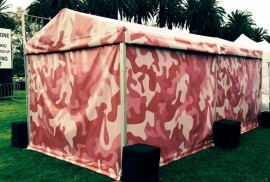 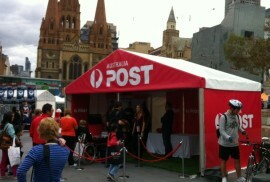 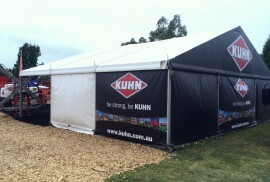 Please do not hesitate to contact our events department for further information on the customised printing of marquees.